Greg Schiano Abruptly Resigns From Patriots To "Spend More Time On My Faith And Family"
The Patriots will not be turned into Schiano Men. 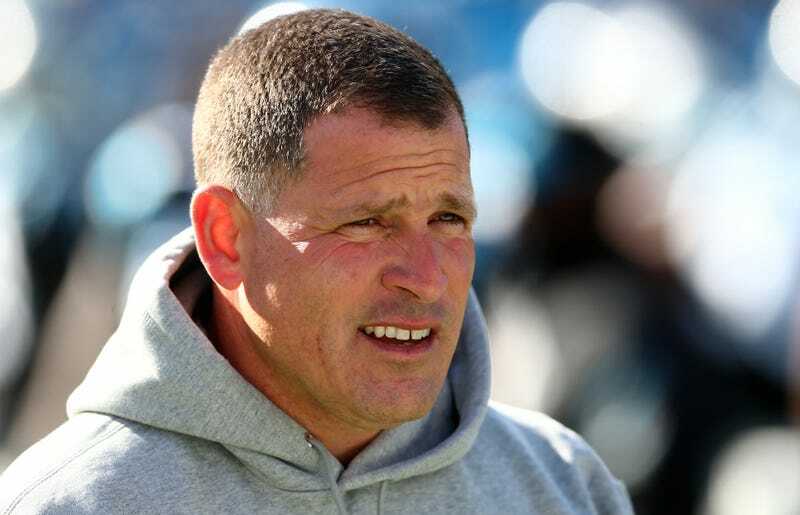 Former Buccaneers and Ohio State coach Greg Schiano, who had just been tabbed as New England’s defensive coordinator in February, announced his resignation today. The team hadn’t yet officially announced his hire, but he’s already gone. I have informed Mr. Kraft and Coach Belichick that I am stepping down from my position at the Patriots. This is not the result of any one event, but rather a realization that I need to spend more time on my faith and family. I don’t want to look back years from now and wish I had done things differently. Therefore, I am taking time away from the game to recalibrate my priorities. I guess there are a lot of possible reasons a coach might quit a high-profile job on a successful team after one month, without making it to a game or even training camp. If you know what happened in this specific case, though, drop a line.